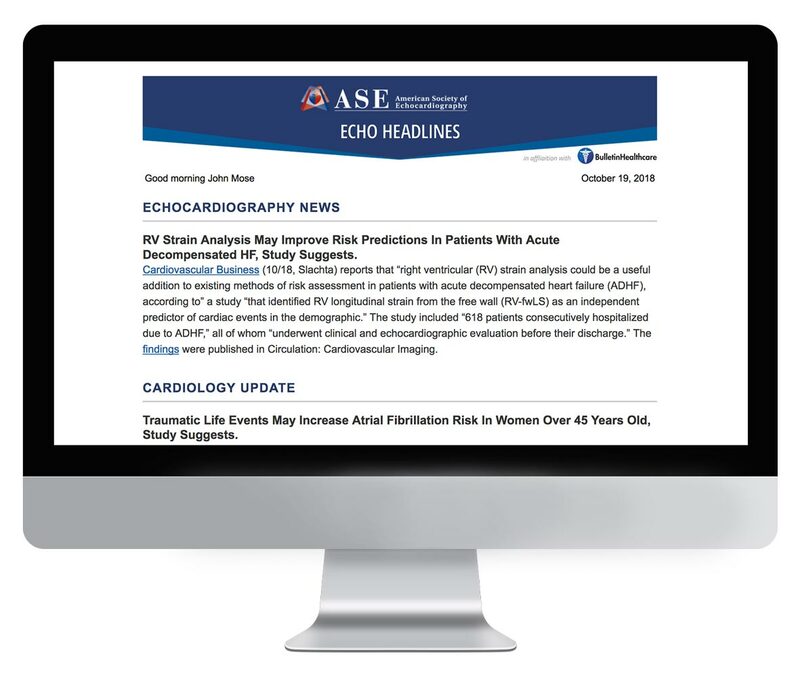 ASE's Echo Headlines is the official briefing of the American Society of Echocardiographers and is a highly valued member benefit. It is delivered Monday, Tuesday, Thursday and Friday by 9 a.m. EST. The American Society of Echocardiography is an organization of professionals committed to excellence in cardiovascular ultrasound and its application to patient care through education, advocacy, research, innovation, and service to its members and the public. Subscription to Echo Headlines is exclusively limited to ASE members. If you are a member of ASE and would like to receive this briefing, please reach out to the association directly.